Dayananda Sagar University is a member of the Dayananda Sagar Institutions and has a great vision to be a centre of excellence in education, research and training, innovation and entrepreneurship and to produce citizens with leadership qualities to serve today’s global needs. 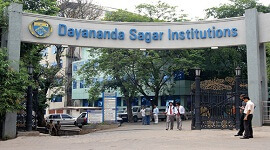 Dayananda Sagar Institutions is operating under the Mahatma Gandhi Vidya Peetha Trust in Bangalore. 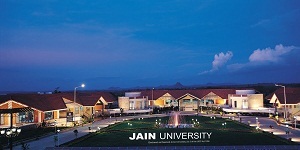 It has five campuses which is providing education to thousands of students. The main objective os this institution is to transform tens of thousands of young students into professionals in diverse specializations. DSU has set a mission to achieve the objectives in an environment which enhances creativity, innovation and scholarly pursuits while adhering to our vision. DSU is known for excellent teaching staff, well-equipped laboratories, lecture halls, excellent libraries and computer networking facilities. DSU has exceptional infrastructure with huge campus with sports fields. DSU supports students who have passion for sports and games. The university hostel has all facilities which are necessary for comfortable stay. Hostel also encompass cultural and recreational activities to cater the needs of students. DSU works with commitment to strive continuously to improve the systems with the aim of becoming the best in our field and to lead creatively in educational and research processes.DSU is commited to be transparent in all activities and to treat all individuals with dignity and respect. 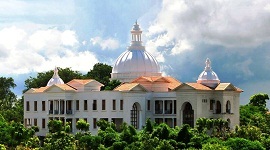 Dayananda Sagar University imparts quality education across a broad range of disciplines from under-graduation courses to post-graduation and doctoral programs covering Engineering, Biological Sciences, Allied Health, Nursing, Commerce and Business Management. Keeping pace with technological growth, new education programmes are also introduced. Courses in Biotechnology and Microbiology have been introduced. Health care education has been gaining importance in DSU through graduate programs in Nursing and physiotherapy and biotechnology and microbiology. DSU has well-equipped laboratories and modern infrastructure. DSU’s commitment to internationalization is expressed in its research programmes involving institutions across the globe. DSU has world class infrastructure with well equipped laboratories, library with subscription to magazines and leading journals. Digital library has subscription to online e-journals. 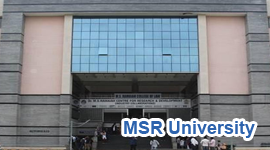 DSU has air-conditioned, high tech conference halls to conduct seminars and workshops. The air conditioned library has books and journals related to Engineering, Technology, allied subjects and Management. DSU has separate hostel facilities for girls and boys managed by experienced wardens. The hostels provide a friendly atmosphere, healthy food to enable students to concentrate on their studies with all comforts. DSU has good transportation facility for students and staff to comute to and from college. Calm and friendly atmosphere is maintained in the hostels. DSU’s aim is to impart quality education with a focus on Research and Innovation emphasising on development of sustainable and inclusive technology for the benefit of society and to providec an environment that enhances creativity and innovation in pursuit of excellence. DSU is approved by UGC and is in collaboration with foreign universities to provide practical exposure. The university offer scholarships to deserving candidates. 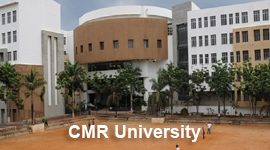 The university has separate centre for innovation and leadership and provide opportunity to students to get involved in industrial and R&D live projects. The university has partnership with IBM and ETAS- BOSCH for M.Tech program. Dayananda Sagar University has an elite placement division to facilitate the placements for all students. The Centre provides pre-placement training in soft skills to all students to enable them to apprise to the modern corporate requirements in association with Centre for Innovation & Leadership and HR Division. The placement division also supports training in CV Writing, Aptitude Assessment, Mock interviews, Group Discussion etc. Internship opportunities in various companies will be provided for interested UG/PG students.DSI is committed to provide best talent for corporates. 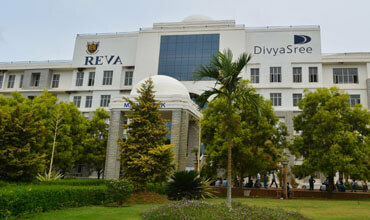 The Placement division works with Corporates to build the overall Development of Students as per industry requirement. The DSU Provides placement assistance to students. It conducts pre-placement talks, presentations, online/ written tests, group discussions/JMT, and interviews. Organizes aptitude training programs and soft-skills training to enhance quantitative, verbal, logical and reasoning skills, the student's personality, confidence level, public speaking skills. The university has high-caliber teaching staff and Smart classrooms. 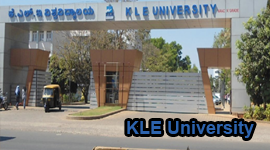 The students are given a challenging academic environment with well-equipped lecture theatres, laboratories, excellent libraries and computer networking facilities. DSU also has exceptional infrastructure for students who possess a passion for sports and games. The hostel facilities, encompassing cultural and recreational needs, cater to both local and Iinternational students. 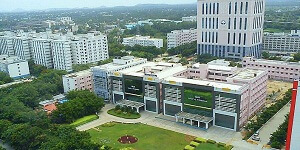 The university has e-book library, Sound media and computer labs with trained technical staff. 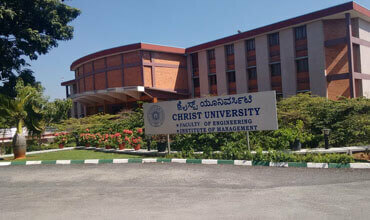 The college has huge auditorium to conduct seminars, guest lecturers etc. The college cafeteria is a very good relaxing place for students where they can have coffee, breakfast and snacks. The campus has separate hostels for both boys and girls. Medical facility to treat students and staff.